Bitcoin is the most well known and popular cryptocurrency in the world. When you start using Bitcoin, the first step is to select a wallet. A wallet is a software programme which stores public and private keys, interacts with the blockchain, and enables you to store, receive, and send Bitcoin. 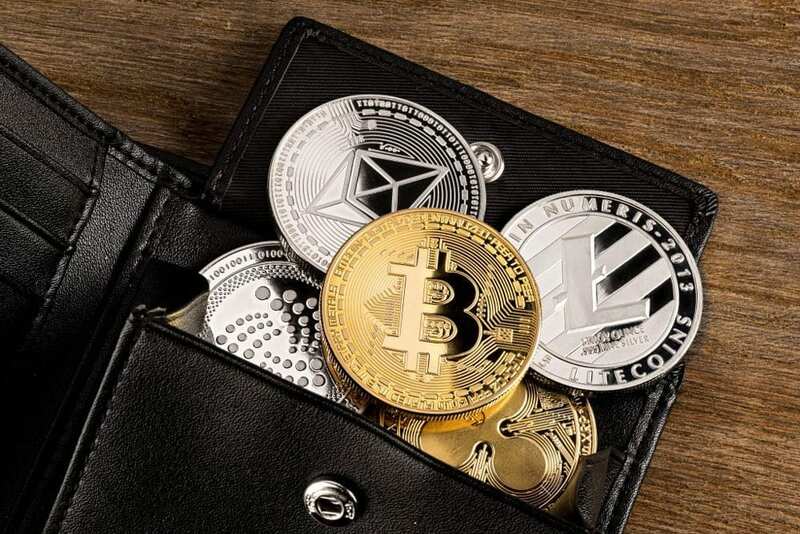 Of course, there are various wallets available; before you choose which wallet suits you best, here are some key features to consider. The security of a wallet depends on the service provider and the type of wallet used (e.g. paper, hardware, desktop etc.). Another vital factor is whether your private key is stored offline or online. For example, a hardware wallet stores your keys offline and only goes online when your device is physically connected to a computer. A web-based wallet stores your keys on an online server. Naturally, offline storage is less open to hacking attacks, however, with the right precautionary methods you can adequately protect your online wallets. It is wise to use additional security features such as two-factor authentication, or a multisig wallet where appropriate. If you only wish to use Bitcoin (BTC), then you can use a wallet that supports Bitcoin and Bitcoin only. In contrast, if you want to use other cryptocurrencies as well, it may be more convenient to use a wallet which supports several currencies. The wallet you use must offer a robust backup feature to ensure you don’t lose access to your account, even if the device is stolen or lost. When backing up your wallet, ensure you write down or store all your private keys. If you're storing your backup phrase online, encrypt it so that it can't be accessed if stolen. It's also essential to save back-ups in multiple locations in case something happens to one. There are many options regarding wallet platform availability such as desktop, web-based, mobile applications or hardware storage. Different wallets are available on different platforms, with some available across multiple. Pros: Excellent security. Multi-currency. Software compatible. 2FA. Cold storage. Cons: Expensive. Hard to restore. Easily lost/stolen. Trezor is another hardware wallet which uses a USB connection to go online for transactions. The Trezor wallet is compatible with several other software wallets. Additionally, for added security Trezor uses a shuffling pin pad to protect against keyloggers. Pros: Excellent security. Multi-currency. Software compatible. Cold storage. Jaxx is a multi-currency wallet available as a desktop or mobile application across most operating systems, as well as via Firefox and Chrome extensions. With Jaxx, you can also import an Ethereum paper wallet. Private keys are encrypted and stored locally. Furthermore, Jaxx gives you permissionless-access (meaning there is no account set up) so your data remains anonymous. Pros: Beginner friendly. Multi-currency. Free. Multiple platforms. Good privacy. Cons: Community concerns regarding encryption of backup phrase. Can be buggy, though this has improved dramatically over recent months. Exodus is a desktop platform, available for Mac, Windows and Linux, which supports numerous currencies and offers an easy to use customizable interface. Private keys are encrypted and stored locally. You have permissionless access, so your data remains anonymous. Learn more in our Exodus wallet article. Pros: Beginner friendly. Multi-currency. Free. Good Privacy. Cons: Desktop platform only (for now). Copay is a BTC wallet available on multiple platforms including Windows, iOS, macOS, Android, and Linux. The Copay wallet was developed by BitPay, a reputed Bitcoin payment service with a secure infrastructure. As a multisig wallet, Copay allows you to establish a wallet shared by multiple users, each requiring a private key to be input for a transaction to be confirmed. Lastly, Copay is open source allowing any programmer to audit code and validate security. Pros: Free. Multisig. Open source. Good reputation. Cons: BTC only. Difficult for beginners. Central verification. Mycelium is one of the longest-running and most widely used mobile application platforms for BTC. The Mycelium platform is semi-open source; coding can be reviewed by anyone, but can’t be changed or redistributed for security purposes. Encrypted data is sent over a highly-secured network. For added privacy, it also permits you to backup your wallet, connect to the TOR network, and use a PIN. Pros: Free. Good security. Good privacy. Reputation. Cons: Mobile platform only. BTC only. Difficult for beginners. In addition to offering a Blockchain explorer service, Blockchain.info provides a web and mobile application-based Bitcoin and Ether wallet. They have created a "Security Centre" to help users backup funds and enhance security. Additionally, for extra anonymity you can connect to the TOR network. After each transaction, a new wallet address generates for increased privacy. Online servers store private keys which may raise security concerns if storing large amounts of BTC. As a result, this means accessibility to funds depends on the network availability. Pros: Free. Beginner friendly. 2FA option. Good privacy. Multisig option. Cons: Online wallets susceptible to security breaches. ETH & BTC only. AirBitz is a mobile application Bitcoin wallet which is easy to use and runs on a decentralised server. Consequently, this allows the wallet to function even if the Airbitz servers are down. The Airbitz app is open source, permissionless, and has useful security features including client-side encryption and automatic backups. Lastly, AirBitz also has a record of merchants who accept Bitcoin as a form of payment. Pros: Free. Beginner friendly. Good privacy. Good security. 2FA. Cons: Mobile platform only. BTC & BCH only. Electrum is a decentralised, lightweight desktop and mobile application-based wallet. The Electrum wallet is open source, has multisig support, hardware wallet integration, and use of the TOR network. In addition, Electrum stores Private keys offline to enhance security and generates backup phrases upon setup. Pros: Free. Good reputation. Good privacy. Hardware wallet integration. 2FA. Cons: BTC only. Difficult for beginners. Samourai has a vast range of security and privacy features including military-grade AES-256 encryption, wallet address regeneration, fingerprint scan option, Tor, and VPN support. Ricochet is a premium service available on Samourai that helps improve fungibility by adding four degrees of separation between your wallet and the recipient's address. Important note: Samourai is recommended for advanced users only as the platform is in alpha testing. Pros: Basic wallet features are free. Excellent security. Excellent privacy. Cons: Not beginner friendly. Android only. BTC only. Finally, if you would like more help understanding wallets, wallet types, and how they work, please check out our Beginners Wallet Guide. You will find helpful videos and articles to expand your knowledge. Also, if you're looking for XRP wallets we cover that in another post too. Find out where you can spend Bitcoin here. Disclaimer: The above references an opinion and is for informational purposes only. It is not intended as personalised financial or investment advice. The opinions expressed by the author do not represent the opinion of BitPrime.